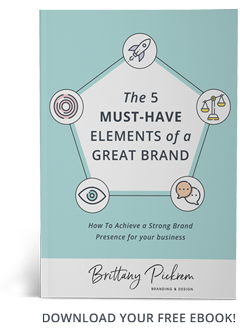 In celebration of the Holiday season, I’ve custom-designed a free Holiday Gift Package just for you! 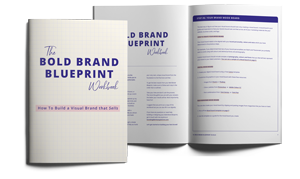 This package includes printable gift tags, greeting cards, as well as graphics that you can share on all of your social media channels. I’ve come up with a step-by-step guide, to help you get started with your Holiday Gift Package! Grab your free Holiday Gift package from the link above to get started on your gift giving! 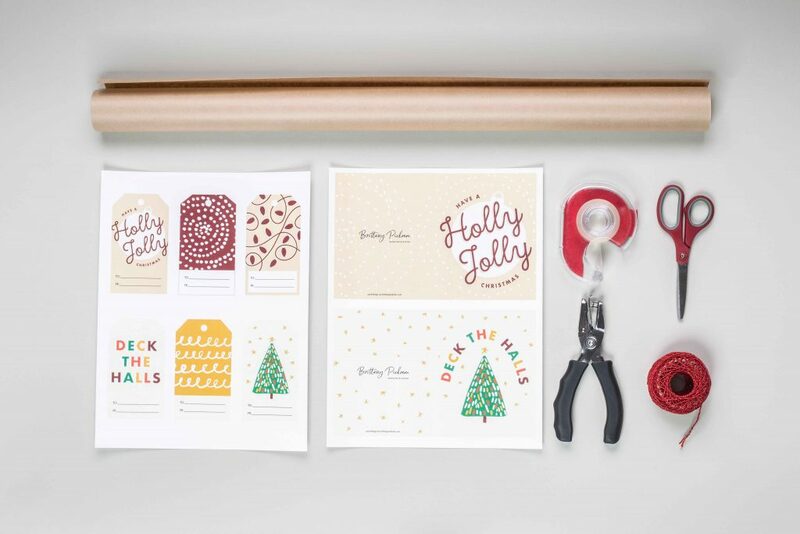 Pro-Tip: BEFORE printing your gift tags and greeting cards, make sure that ‘Fit to page’ is not selected in your print settings! This setting will shrink the intended size of the cards and tags! 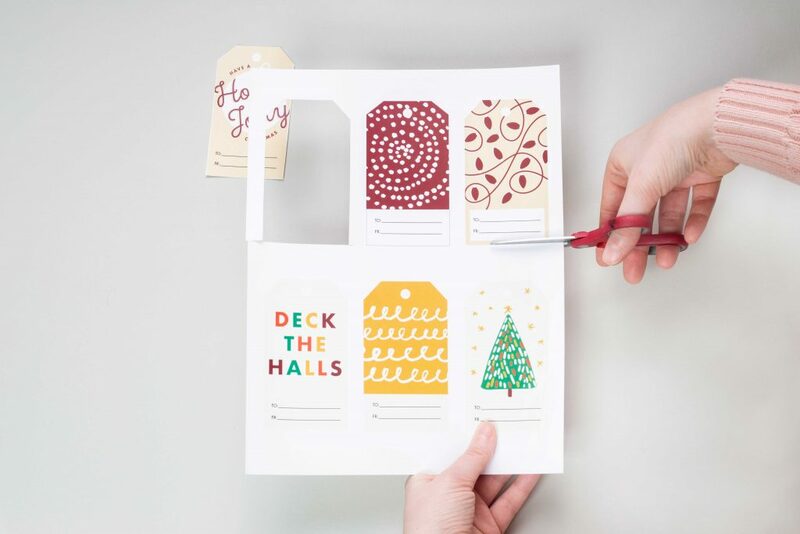 You’ll also want to print out your gift tags and cards using cardstock paper, as this paper is heavier and will work best. 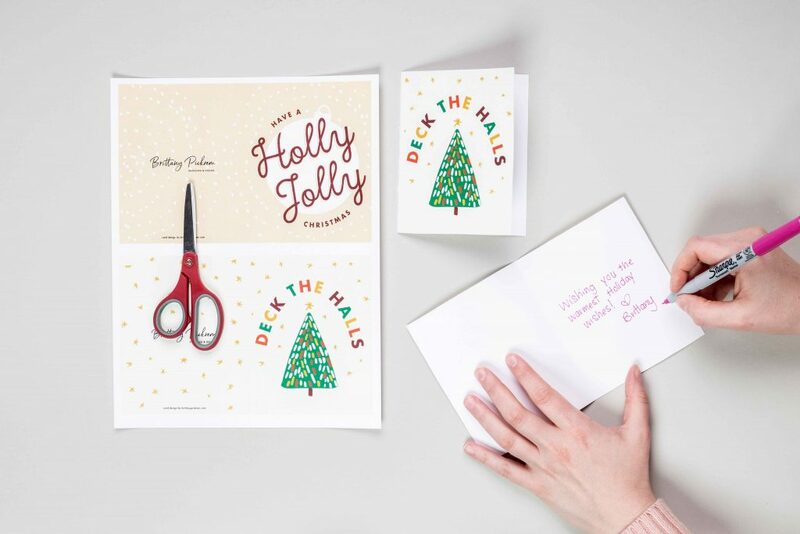 After you’ve printed your cards and tags, cut out each design using scissors, being careful to keep your lines as straight as possible. If you have a steady hand, you can also use a ruler and utility knife to cut out the designs. 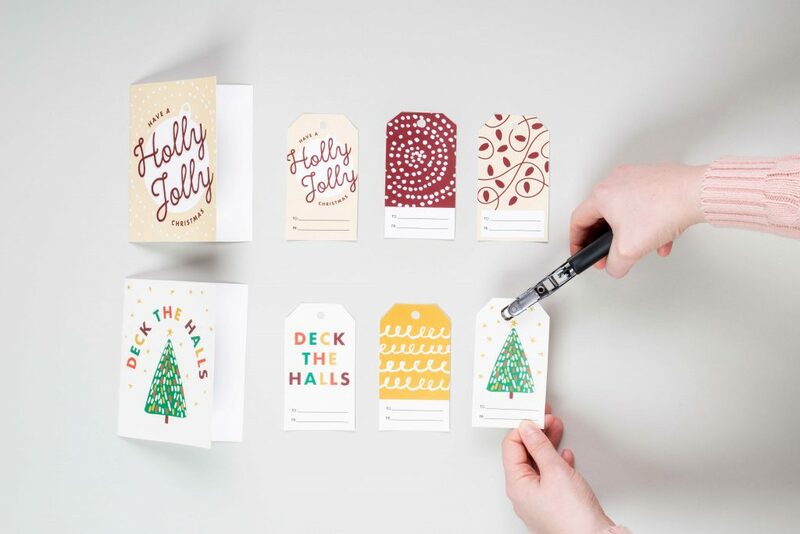 All of the tags and cards have been designed with straight edges, so it should be fairly easy to do this – but watch out for your fingers, please! Near the top edge of each tag, there is a place to punch out a small piece of paper to allow the tags to be attached to gifts. Make sure to not skip this step so that you’re able to attach your tags to your gifts in the next step. 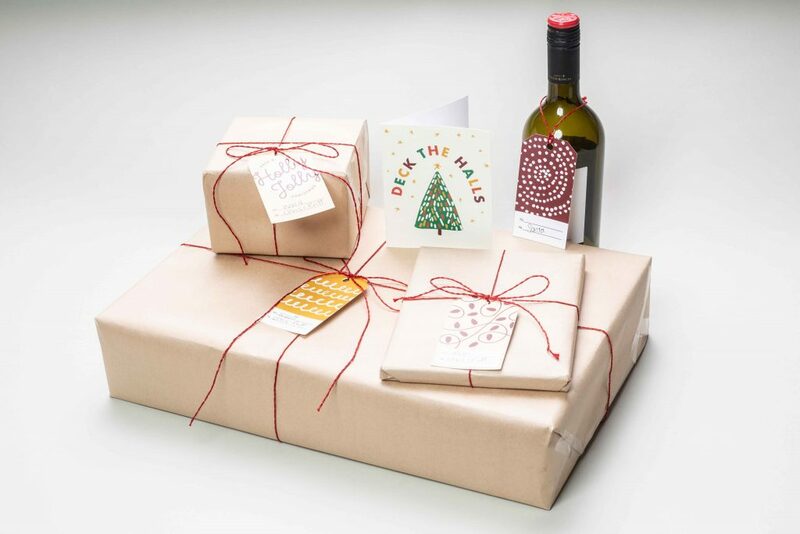 After you’ve wrapped your presents in kraft paper along with your choice of string or ribbon – attach the gift tags. I suggest that you address your gift tags BEFORE attaching them to your gifts. 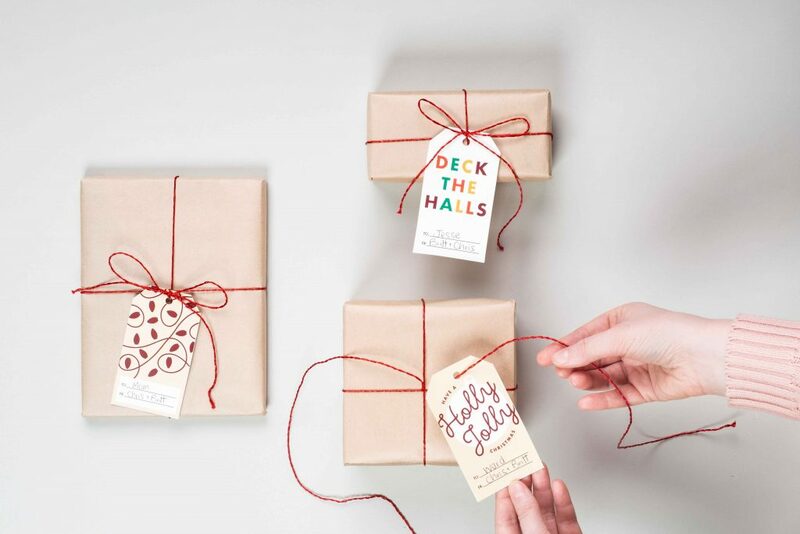 To attach the tags seamlessly – tie the string around the gift, then knot it, but make sure to leave extra string so that there is space to tie a bow after you’ve attached the gift tag. Slip the gift tag onto the string, knot it again, then tie your bow. Et voilà! You have a beautifully wrapped gift. After you’ve cut out your greeting cards, you’ll need to neatly fold them in half. To do this, you’ll need to ‘score’ the back of your cards. To score your cards, find the center-back of the card. Using a ruler, run a butter knife along the ruler’s edge. This will create a straight, fine line or ‘score’ in the paper that will help you to easily fold the paper in half. You can also simply fold the card in half but you may wrinkle the paper in the process! After you’ve scored and folded your cards, write your Holiday greeting and place your card into an envelope. An A2 (4 3/8″ x 5 3/4″) envelope will work best for the size of these cards. Step #6 – Spread Some Festive Cheer! Congratulations! 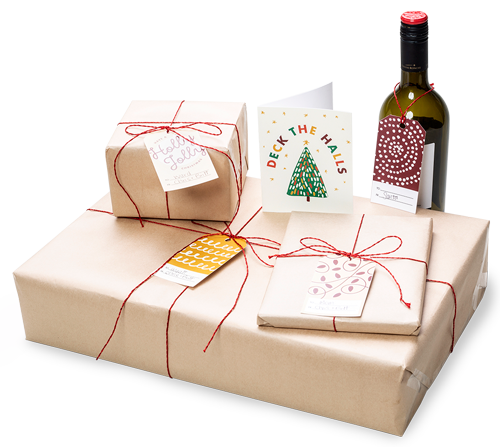 You now have some of the most beautiful and thoughtfully created Holiday gift wrapping and greetings to give to your friends and family. 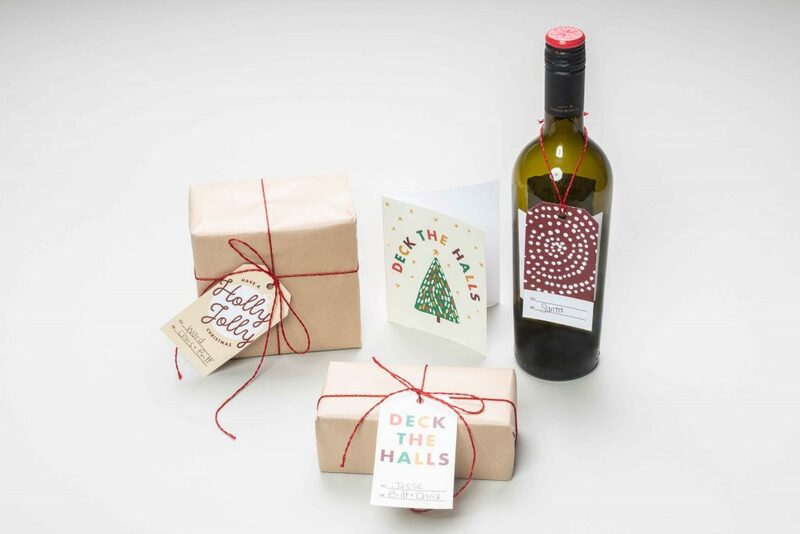 Be creative with different ways to use your gift tags and greeting cards to make them your own. 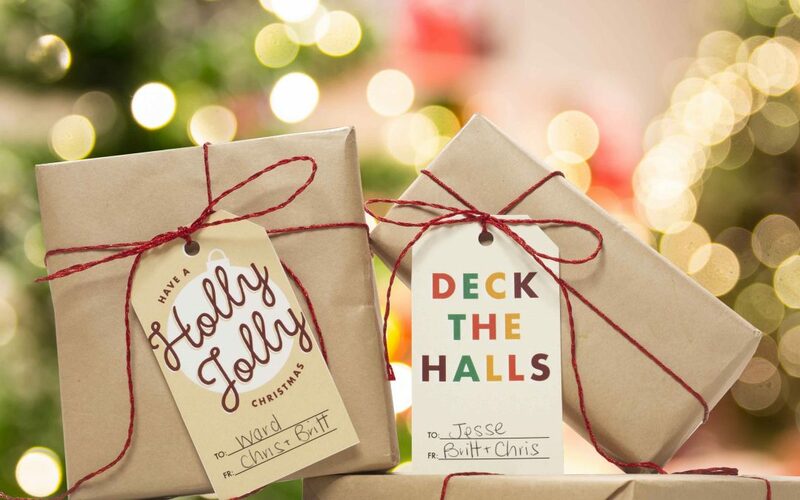 You can also save the PDF files of the holiday gift tags and greeting cards to use again next year! Last but not least, I would absolutely LOVE to see you share these graphics with your followers on social media throughout the Holidays! 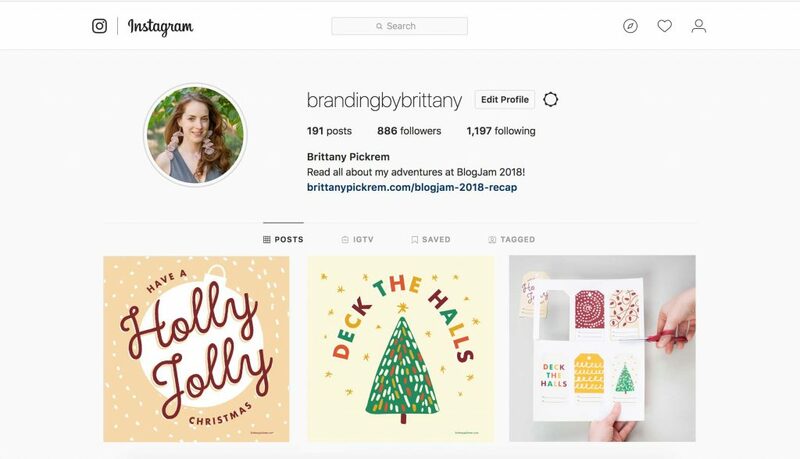 Please tag me @brandingbybrittany to show me what you’ve done to use your gift tags, greeting cards and graphics!